Demonetisation will lead to a spurt in economic activity, which will, in turn, push GDP growth to 10 per cent. NEW DELHI: Demonetisation will lead to a spurt in economic activity, which will, in turn, push GDP growth to 10 per cent, Union minister Arjun Ram Meghwal has said. "Some economists predicted that demonetisation would dampen economic activity over the next two-quarters. But I believe that the decision to scrap high-value banknotes would push GDP growth up by two per cent," he told PTI. "There are many types of financial transactions that are not considered as an economic activity. As a result of demonetisation, the ambit of economic activity will grow and add to the GDP," the Minister of State for Finance said. 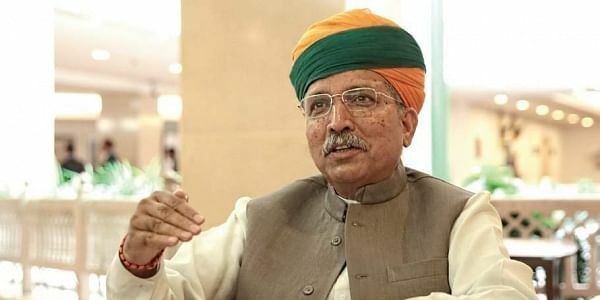 Asked about former Prime Minister Manmohan Singh terming the implementation of demonetisation as "monumental mismanagement and organised loot", Meghwal said, "Singh has held several key posts in the government, such as Chief Economic Advisor, Reserve Bank Governor and Planning Commission head. He served as the Prime Minister for 10 years. I fail to understand why has he not been able to check mismanagement in these monumental offices?" Replying to a query about opposition parties attacking the government over the issue, he said, "Prime Minister Narendra Modi while announcing the decision to invalidate Rs 500 and Rs 1,000 notes on November 8 had said there will some inconvenience to people for the initial 50-day period after which the situation will ease out." Rubbishing the Opposition's charge that the government did not make proper arrangements for demonetisation, the minister said "the government set up an SIT on black money, rolled out the Income Declaration Scheme and took several steps which were part of the preparations. And, if we had calibrated ATM machines in advance, we would not have been able to maintain secrecy."